My first talk on the very-important Christian upbringing of A.A.'s cofounders, Bill W. and Dr. Bob, addressed that topic as to Bill W. Equally important in learning how to apply "old-school" A.A. today is the Christian upbringing and deliverance of Dr. Bob. We will tell you of the "Great Awakening" of 1875 in St. Johnsbury, Vermont, that happened in, and totally changed, the village of Dr. Bob's birth and youth. 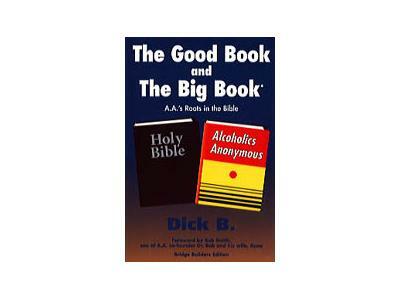 Next, about the key Christian organizations and individuals on the Vermont scene who uniquely focused on helping alcoholics and addicts by means of the power and love of God. Next, the extensive Congregationalist training Dr. Bob received. Next, his Christian Endeavor program. Next, his attendance at St. Johnsbury Academy. The role of the Young Men's Christian Association in St. Johnsbury. The special attention of all the above on healing, rather than on condemning the still-suffering. Then the remarkable Firestone story in Akron, Dr. Bob's renewed Christian pursuits in church, prayer, Christian literature, intense Bible study; and then his kneeling with a little group in prayer for deliverance. Bill W.'s unusual phone call marked the phenomenal answer to the prayers and brought Bill and Bob together for the first time. Bill moved in with the Smiths. He and Bob dived into discussing the Bible and deliverance ideas; and then came Bob's last drink and the founding of A.A., with a focus on the Bible as the answer to their problems, and particular emphasis on the essentials in the Book of James, Jesus's Sermon on the Mount, and 1 Corinthians 13. And their first successful service effort was devoted to A.A. Number Three and helping him see that the Lord would cure him, just as Bill Wilson soon confirmed to him and his wife, and reported on page 191 of the A.A. Big Book.